It’s that time of year again. New Years goals and resolutions. 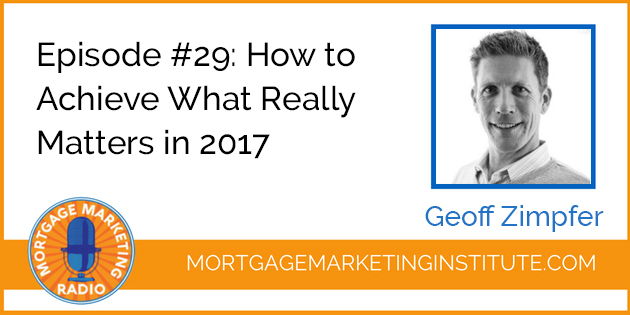 Do you want to know how to achieve what really matters in 2017? This episode will help. What areas of your business are you focused on for 2017? Social Media? 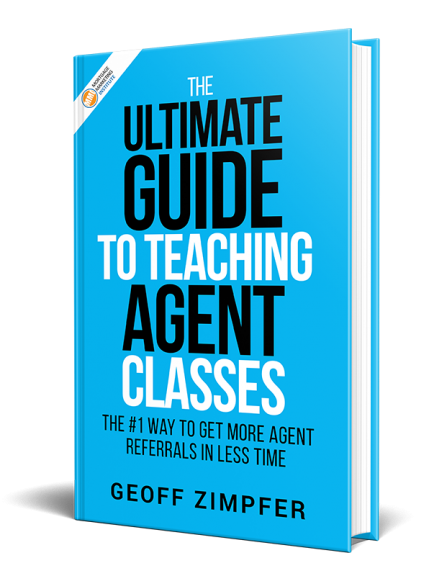 Agents? Video? We want to help you more in 2017. We need your help to do that with a quick 5 question survey. 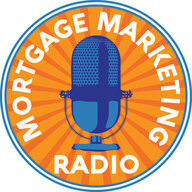 In this episode of Mortgage Marketing Radio, I thought it might be helpful to share some best practices from some high achievers. If you’ve ever wondered how does Tony Robbins or John Maxwell plan the coming years goals, maybe this will help you as it’s helped me. Here are some tips that high achievers use when they begin to reflect and look back on the past year and look forward to achieving their goals in 2017. Reflect on the past year: John Maxwell says he spends his last week of the year to spend time reviewing his entire past years calendar. He believes that reflection turns experience into the insight. Tony Robbins is an avid journal user. He journals throughout the year to collect accomplishments and “magic moments.” At the end of the year he reviews all of them. By reflecting on these moments Tony is able to pull some principles and determine what he really want to make happen in the following year. Don’t dwell on the negative. Put yourself in a positive state ofmmind because we’re talking about making progress and looking forth. Quit hanging out in the past, focus on the future. Enter a place of gratitude. As you look back on last year, what are you most grateful for? Your family? Your health? The goals and progress you made last year? Connecting to what you’re most grateful for helps you focus on how important those areas are for you in 2017 and to appreciate the journey. 6. Schedule your year in advance. What gets scheduled gets done. “Your day is your week, is your month, is your year.” You reach your destination and goals in 2017 by taking specific action every day, week and month. Results are the culmination of a few simple disciplines practiced every single day. Plan your entire year out in advance as much as possible. Even your vacations. It gives you a compelling future that draws you into action. Make sure you take time to unplug.